" 'Stupendous connection' is the lifeblood of Irish Elegies, its electricity, its animating spirit. As I came to the end of the book, I felt as if I had been sitting at the feet of a master, learning the ways of observation and meditation, as if I had been endowed with a new power for seeing beauty in everything around me, infused with the spirit of the essay." 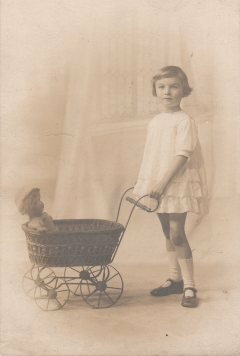 In Irish Elegies Chris Arthur continues his experiments with the mercurial literary genre of the essay, using it in innovative ways to explore aspects of family, place, memory, loss, and meaning. Through these unique prose meditations, readers are led to another dozen unexpected windows on Ireland. "See you miss nothing proffered," counsels the epigraph that opens Chris Arthur's Irish Elegies, the sixth book published in Palgrave Macmillan's New Directions in Irish and Irish American Literature series. Miss nothing he does. The brilliant essays that make up Irish Elegies explore a variety of topics that capture the wonder in each ordinary minute of our lives. Much of this wonder Chris Arthur explores through memory, that imperfect repository of history and narrative. Memories have a way of surfacing, of pushing through hard ground with the stubborn determination of a maple tree's thickest roots. Though most of our lives we will walk right over those protrusions, one day we will stumble over them and be forced to confront a hazy past. With elegiac lyricism, Chris Arthur examines those tangled memories that have secured his understanding of family, community, and nation. Each rich narrative develops into a marvelously elaborate conceit. Readers will be delighted by Arthur's masterful juxtaposition, his striking perceptiveness, his sumptuous vocabulary, by the way he treats the topics of transience, loss, and death with meditative reverence, and the way he traces through shadowy memories the peculiar and rare imprints we leave behind for others to interpret and understand. I first came into contact with Chris Arthur in May, 2008, after he responded to a call for proposals and book manuscripts I sent out to members of the International Association for the Study of Irish Literatures (IASIL). He described his Irish Elegies project, contextualized the trilogy that preceded it — Irish Nocturnes (1999) Irish Willow (2002), and Irish Haiku (2005) — and added that he'd like to think that the new direction he could offer the series might be of some interest. Intrigued, I asked to read some sample chapters, and then some published reviews of his previous work. I quickly was astounded; his reviews were the most stellar I'd ever seen: "Chris Arthur is the Irish writer who has been quietly rescuing the meditative essay for the twenty-first century" (Patrick O'Sullivan); "Chris Arthur's recently completed 'Irish trilogy' of essay collections should not only put him on the map as the contemporary Irish essayist, but also raise general interest in the possibilities of the essay form in our time" (Graham Good); and "[Chris Arthur] must, on the strength of this collection alone, now be counted among the most innovative advocates of creative nonfiction in contemporary Irish writing, and certainly the one most committed to creating a distinctly Irish habitation for the essay" (James Silas Rogers). I signed the book within a week and the rest, as the saying goes, is history. It is not only a pleasure to see Irish Elegies in print but an honor to list it among the titles in the Palgrave Macmillan series New Directions in Irish and Irish American Literature. The epigraph Professor Culleton refers to is from John Hewitt's poem "Nourish Your Heart", taken from John Hewitt, The Collected Poems of John Hewitt, ed. Frank Ormsby (Blackstaff Press, 1991), reproduced by permission of Blackstaff Press on behalf of the Estate of John Hewitt. the slow attritions of eternity. "As with his earlier collections, this volume will be welcomed by all who value the essay in English literature." "For those already familiar with Chris Arthur's work, two new volumes in one year is very exciting: for those unfamiliar with him they offer an excellent introduction to his particular brand of eclectic non-fiction … He has championed the essay form and, while obviously influenced by a wide variety of writers and traditions, has developed a style and method so uniquely his own that his writing is palpable on every page. … New readers should take note of his comment that 'Meandering often leads to more interesting journeys than following straight lines'. These meanderings take a particularly self-reflexive form in Irish Elegies, and it is this volume which at once reinforces Arthur's methods and primary concerns, but also allows him to explore slightly different and more experimental approaches. The short vignettes in his 'Thirty-Six Views, None of Mount Fuji' are especially fresh … In his later work Arthur becomes more and more assured of his style and method. He is unapologetic about his detailed and complex language … He is primarily concerned with exploring apparently ordinary experiences for what they reveal below the surface … This profound laterality has much in common with Deleuze and Guattari's notion of the 'rhizome'. Arthur wishes to do away with linearity, hierarchy, division and the deep internal structures that characterise 'arborescence'. … His meandering journeys of the mind are always erudite … if you are looking for an accomplished writer of the Irish diaspora who occupies the interstices between home and away (with all that entails), you need look no further." Chad Habel, review of Irish Elegies and Words of the Grey Wind in the Australasian Journal of Irish Studies, Vol.10 (2010). "Gaze long enough into memory's starlight, and the mind fashions a prism of rumination, spilling the spectrum across contemplation's page. Look up, and the page disappears, just for a moment, and there you are, time-traveler, whirling your arms like some miniature galaxy, speeding away from the moment in time you had wanted to fix like the dot of ink at the end of the sentence. This is what it's like to follow the work of Chris Arthur, a meditative essayist for whom the spectrum is broad indeed, reaching each frequency, sounding a single note until you suddenly notice that, as in a Tibetan monk's throat song, he has come to sound two notes at once, or several, and you vibrate, too, with the energy of connection." "Arthur's essays progress with a kind of philosophical counterpoint at their heart; at once revelling in the suggestiveness of the most minute object or memory, while at the same time detailing the brute facts of life's transience. Such a compositional tactic serves Arthur well, as the tones and moods of his most successful pieces fluctuate, and provoke empathetic responses from the reader. 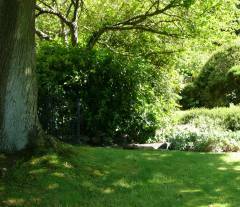 In another register, Arthur's work has always been deeply ecological in its vision. Not only are natural objects taken as memorial catalysts by the author, but his historical perspective locates human histories within the protracted continuum of 'deep history', a key concept in contemporary ecocritical writing. Arthur's temporal frame, then, urges a level of historical humility, which is, again, consistent with the ethical project of ecocriticism and that strives to expose and to undermine the hubris of capitalistic modernity." Eóin Flannery, 'So many destinations in one place': Chris Arthur's Words of the Grey Wind: Family and Epiphany in Ulster and Irish Elegies, a review article in Irish Studies Review, Vol.19 no.4 (2011), pp.433-436. "The power of the essay lies in its ability to pluck fragments from the mundane details of ordinary life and elevate them by deep examination. In this collection of essays … Chris Arthur wholeheartedly takes up Bourdieu's challenge to 'evoke ordinariness in such a way that people will see just how extraordinary it is', bringing to the reader a clear-sighted, contemplative account of personal history and memory. We can add to that task a special challenge for the Northern Irish writer: to write about the ordinary — the domestic, the intimate and the everyday — in the face of sometimes extraordinary circumstances. It is a testament to Arthur's skill that he manages to write about his family life in a manner that both acknowledges and sidelines the 'Troubles', reducing them to their proper scale in the face of the rich textures of life… The Aristotelian theme to which Arthur constantly returns, and that bears repeating, is that 'mystery lies just beneath the crust of the quotidian'. He has successfully not only unearthed some mysteries of his own, but also awakened in this reader a new excitement for the future of the essay in the landscape of Irish writing." 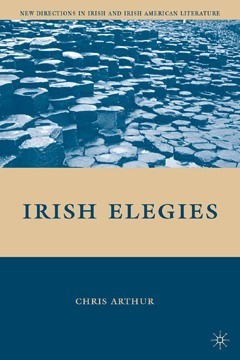 Cóilín Parsons [University of Cape Town], review of Irish Elegies in Études Irlandaises, Vol.36 no.2 (2011), pp.199-200. "In so many ways, Chris Arthur's essays are an antidote to the barrage of attention-claimants that beset our twenty-first century technological world. In a sideways answer to Nicholas Carr's intriguing Atlantic article 'Is Google Making Us Stupid?' I would suggest that Chris Arthur is making us smart again, and if only more people were aware of the salubrious effects of his essays, we might all regain the peace and insight that come from centered meditation on the wonders of the world… I recommend that the next time you're caught in the world wide web of distraction, you use a few keystrokes and mouse-clicks to purchase a book or three of Chris Arthur's essays. Then, when the books arrive, you can begin retraining your brain to stay focused, one essay at a time, until you achieve a stillness you've lost amidst all your zipping about. With his beautiful extended meditations, his wandering-focused excursions through memory and study, his questions and attempts at some peace without answers, Chris Arthur may be the best chance we have against the encroaching chaos of our times." Patrick Madden, "Is Chris Arthur Making Us Smarter?" (63KB PDF), Fourth Genre, Vol.14 no.1 (2012), pp.207-211. "The good health of essay writing depends on writers continuing to address eccentric subjects." Photograph of the author's mother, taken by an unknown photographer in a Belfast studio in the early 1920s. This is the image discussed in "On Not Being Who You Think You Are." The trunk of the maple tree at the gateway to the author's childhood home in Lisburn, County Antrim. This tree features as a recurring motif in "Thirty-six Views, None of Mount Fuji". 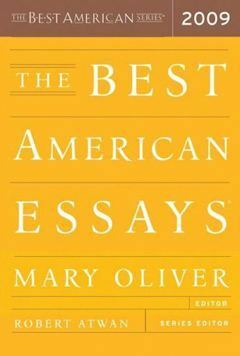 "(En)trance" was selected for inclusion in The Best American Essays 2009, guest editor Mary Oliver; series editor Robert Atwan, Houghton Mifflin Harcourt/Mariner Books: 2009. The cutting from The Times about Blair Mayne's death, referred to in "Bookmarks". Click to expand.